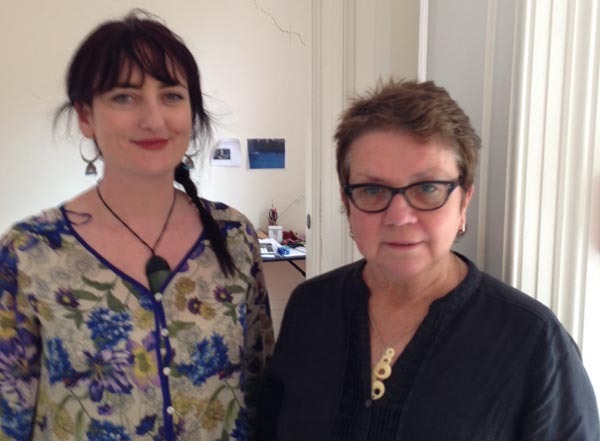 Bridget Donohue, Community Support Facilitator – Arts, at the two4nine creative space in Auckland, is one of six mentees participating in Arts Access Aotearoa’s Creative Spaces Mentor Project over 2014/2015. Her mentor is Maggie Gresson, Executive Director, Artists Alliance. Six months into the relationship, we have three questions for Bridget. Q. What did you want to gain from the mentoring relationship when you started? A. When the opportunity to take part in the mentoring scheme arose my metaphorical boat was adrift. I had an idea of where I wanted to go but was unsure how to plot the best course to get there. 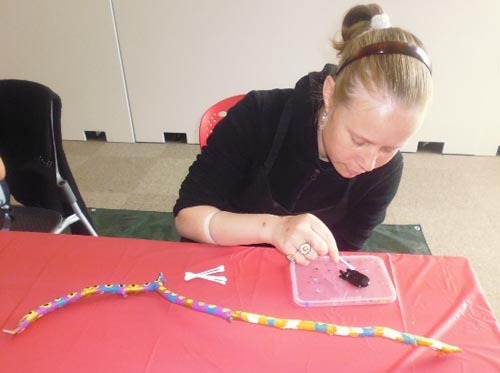 Our vocational service for adults with mild intellectual disabilities was going through a metamorphosis. Two4nine, a new workspace featuring a gallery, was planned. We hoped to exhibit participants’ artworks as well as pieces by local artists. With this came an opportunity to expand our networks in the creative sector and local community. I was looking to increase my skills and knowledge to develop this to its full potential. I wanted the service I worked for to be recognised for being the best that it could be. For creating a space that nurtured our artists’ creativity and represented them in a professional manner. Q. After six months, what are some of the things you’ve learned? A. Maggie has encouraged me to concentrate on my professional development. My focus has always been so strongly on those whom I support. I realised the need to create the time to expand my own skills base, therefore creating opportunities for two4nine and for me. It’s been super-helpful to speak to someone with such an extensive knowledge of the creative sector. Working in the arts and disability sector can be quite isolating at times so I’ve found it very beneficial to have that chance to discuss the fundamentals and surrounding issues. Creating a network within the creative sector has been a huge thing for me – surrounding myself and learning from like-minded individuals who invest so much of themselves in creating amazing services and events. It’s always great to catch up on upcoming events and creative initiatives. We want to take those opportunities to be involved in this community and fly our flag as proudly as we can. Maggie is a “fairy mentor”. She has been very supportive of my creative endeavours, both personal and professional. I have found it beneficial to have the positive feedback but also to be asked the harder questions, pushing me to think outside the square. Q. How will the new skills benefit two4nine? A. Two4nine offers a broad range of activities: gym, gardening, life skills, tai chi, drama, ceramics, Laughter Yoga, art, and circus training with Circability. Our participants volunteer locally, preparing meals at the local Salvation Army and assisting at West Lynn Gardens. The skills I have gained, and will continue to gain, through Arts Access Aotearoa’s mentoring scheme are transferable across the board. I am confident that over the year I will be able to connect with community groups and encourage more local interaction for our participants. The arts sector has many exciting events this year. I would like my participants to get involved and be contributing artists. It’s always exciting for them to have that sense of achievement and involvement. As part of my artistic vision for two4nine, I have been working on a portfolio detailing the projects, awards and exhibitions our artists have taken part in. I plan to create one for each artist, showcasing their artistic achievements for future representation. The aim is to bring two4nine into the realm of other successful and recognised creative spaces around the country. To create a presence that best serves the participants and gives them the opportunity to excel and enjoy their experiences with us. The aim of Arts Access Aotearoa’s Creative Spaces Mentor Programme is to help build the capacity of creative spaces by sharing expertise, strengthening current leadership and developing future leadership. 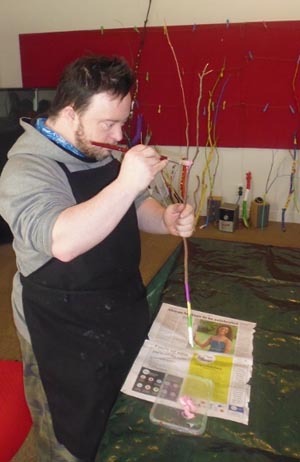 Two4nine provides opportunities for people with an intellectual disability to participate in visual arts, performing and creative writing programmes. Original generation time 1.7444 seconds. Cache Loaded in: 0.0376 seconds.